Chinese takeout sounds like a great way to spend a night alone! Nothing beats food :) BTW is your dress from target? I have a top that has a similar style! Doesn't mean I won't have one --one day though! Love the Sunday evening tradition. I use to do that with a couple of my friends. We would alternate weeks and we would each get a turn cooking dinner every Sunday night. Great way to end the week! I knew I should have gone to see the Black Keys. Ergh. Also, what a sweet shower for your adorable mommy-to-be. I love how she did the gift opening. I always think that part is so awkward! Love the Black Keys! I bet they put on a great show. One of my cousins just recently announced her pregnancy... already thinking about baby shower outfit. I need a hobby. I love your dress - it is too cute! That sounds like a perfect low key weekend! 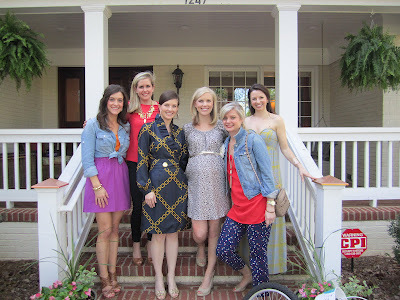 I love the dress you wore, super cute! I do the same thing when my hubby's out- red wine and cheap take out! Also, I'm SO adopting your sunday night porch session- I need something to look forward to on Sundays! Whenever Corey has an after work event I always order take out (chinese or sushi) and open a bottle of pinot noir. Love that alone time to relax! I'm going to see the Black Keys when they come to Houston next month! I was super bummed when I saw they were coming to Charlotte right after I moved but found out that they were coming here shortly after and HAD to jump on that! 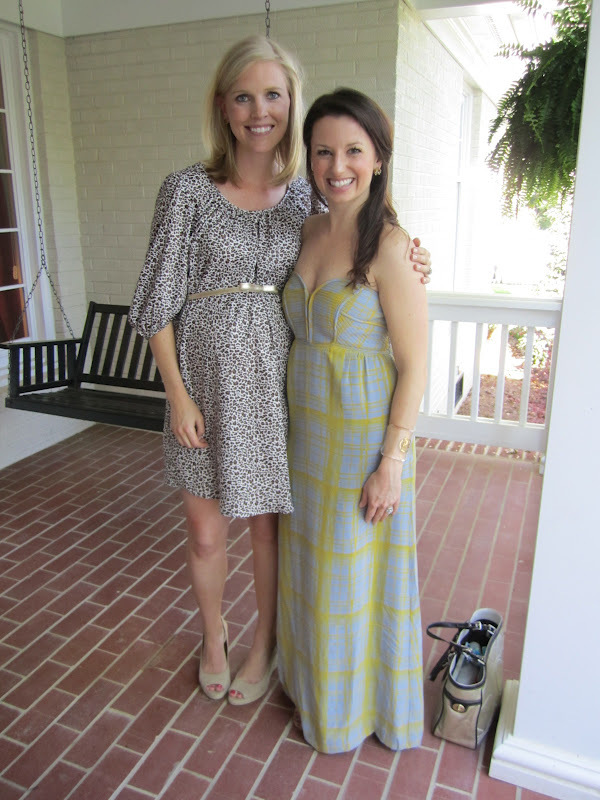 I love the dress that you wore to the shower too! Where did you get it? Chinese take out and wine is a perfect combo. I need to start a back porch wine session. Sounds wonderful. That is exactly the same way I spend a night by myself! I love chinese takeout, like maybe a little too much. Apothic red is one of my favorite reds! 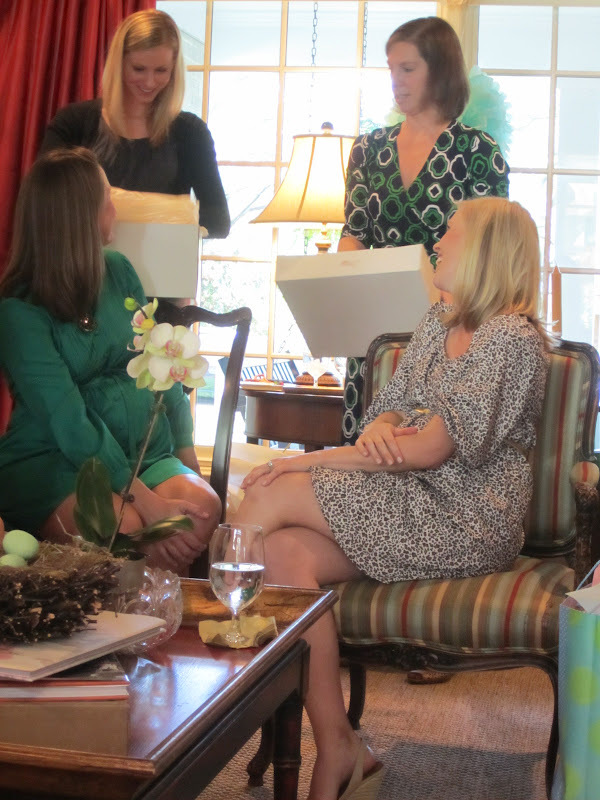 Love the way she had people open the gifts and introduce themselves-- that's awesome! It sounds like you had a fantastic weekend. Chinese take out/wine nights with my husband are my favorite too. Love that dress by the way. It looks fantastic on you! love love love the night at home chinese and wine idea. definitely doing that the next time my man is gone! 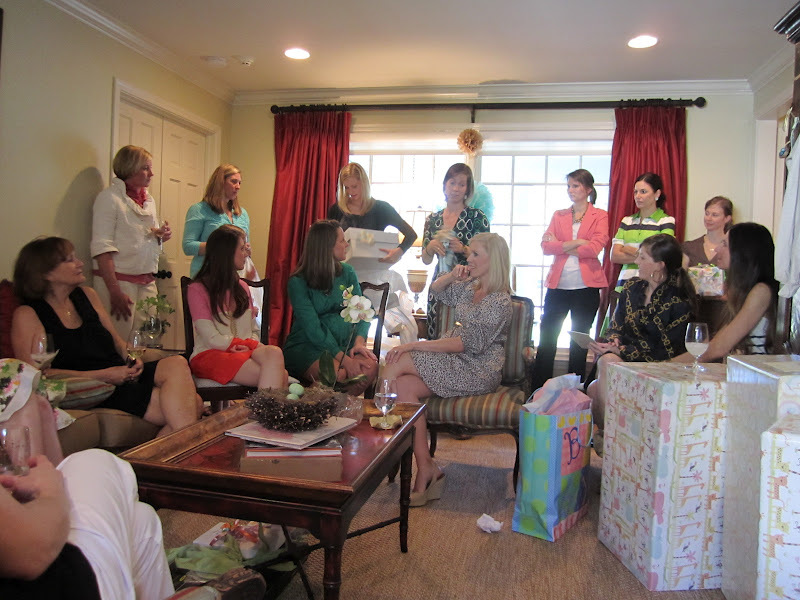 and the baby shower looks fabulous!